After several years of studies commissioned to the Children’s National Health System, the Fairfax County School Board voted yesterday to implement later start times for high school students. The new strategy will cost over $4M to implement and it will flip-flop the middle school schedules with the high school schedules. Fairfax County Middle schools will now have earlier bell schedules (around 7:30am), and High schools will now have bell schedules starting at around 8:15 am. 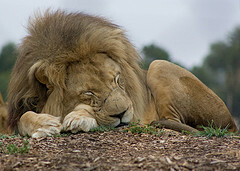 This measure seems to be popular with parents who hope their high schoolers will get more sleep, and it is another example of recent changes implemented at Fairfax County Public Schools by the new Superintendent, Dr. Garza and the School Board. Just this school year, FCPS instituted full-day Mondays, which was also strongly supported by FCPS parents. For many parents thinking about living in Fairfax County and having their children attend Fairfax County Public Schools, this might be another good reason to consider living in Fairfax County. On a previous post, we wrote about 3 reasons why Fairfax County Public Schools are a great choice, and we just updated that post to reflect these two new features. Access the Home by School interactive app through the Fairfax County Map of School Boundaries, selecting a high school boundary, and then clicking on the big, red button that reads “Find a Home”. 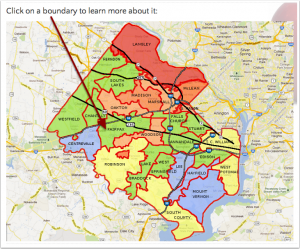 Log in to the Fairfax County Map of School Boundaries (a.k.a the Affordability Map) to see the location of each of the most UP-TO-DATE boundaries within Fairfax County and to choose your ideal boundary. Read more about the new high school start times at the Fairfax County Public Schools website.